But by the fall of 1942, after the program was in place, the Searle Grain Company also noted other advantages of their home weaving program for a post-war western Canada. Clearly the Searle Grain Company felt that weaving instruction had a place in the war effort, even though these benefits would seem to have come as an after-thought. The first course in the program was taught by Laura Muirhead in Melfort, Saskatchewan and was soon followed by courses at Blaine Lake, Saskatchewan taught by Ann Yakimischak, at Legal, Alberta taught by Germaine Chaput, and finally a course taught by Helen Boiley at St. Paul, Alberta. In Manitoba a French language Roman Catholic organization, la Societe d’Enseignement Postscolaire du Manitoba, had begun teaching weaving in rural areas and was continuing with a strong program of weaving education. As a result most of the courses which the Searle Grain Company taught were in Saskatchewan and Alberta. The company did however offer instruction in some Manitoba communities and its base of operations was of course Winnipeg. 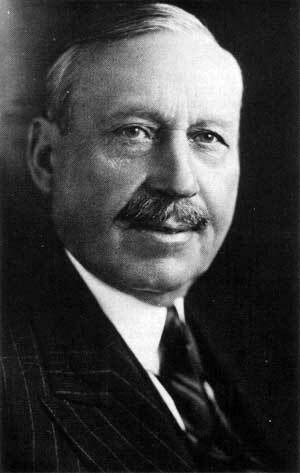 Therefore, the Searle project does constitute a major contribution to weaving education in Manitoba during the 1940s. The courses were taught in towns or villages which had a Searle Grain elevator, and the local agent assisted with the unloading and setting up of looms and other equipment, which had been shipped to that location by rail. A church basement or town hall was usually used for the instructionanywhere that could be obtained for a reasonable rent. Instructors asked the pupils in each community to form a weaving circle, the formation of which was to be guided by a set of explicitly stated rules and regulations provided by the Searle Grain Company. These regulations provided the terms of reference for the courses themselves as well as a mechanism for continuation of the weaving program after the formal instruction had ended. “Membership in the Farm Home Weaving Circles [and the weaving classes] was to be open to any farm woman or girl who is interested in the work.”  The wives of Searle Grain customers were given first choice at the courses, and vacancies, if any existed, were filled by other farm wives and then by townspeople. Participation in this program was not limited by religious or ethnic affiliation. The courses were offered completely free of charge, although a nominal fee of 50 cents annually was required of the weaving circle members. A secretary-treasurer was to be elected from within the circle, and this person was to collect the annual fee and use it for “paying incidental expenses such as postage, stationery, telephone calls and so forth.”  It was to be used strictly for the maintenance of the individual weaving circle and was completely independent of the Searle Grain Company. Looms and other weaving equipment were provided for the use of the students during their instruction. Raw materials such as cotton, wool or linen yarns were also provided, although if a student wished to keep a finished article for her own use, she had to pay the Company’s wholesale cost for the yarns used. Clearly, the Searle Grain Company made every effort to keep the costs incurred by individual students as low as possible, with the Company assuming financial responsibility for the instructor, equipment, place of instruction and such materials as were used in articles to be retained for demonstration purposes. Searle Grain felt that diligent effort spent on these courses would yield very positive benefits for the students. The Searle Farm Home Weaving Service, which had been operated at the same time that the Company had developed the education program, was able to continue in the head office in the Grain Exchange Building, Winnipeg. This acted as a retail outlet for the equipment and materials necessary to practice hand weaving. It also had a staff consultant, Dorothy Rankine, who operated the Winnipeg Office, and gave advice and assistance to weavers. In addition, the monthly invoices were accompanied by a weaving bulletin entitled “Searle Suggestions.” These newsletters covered a variety of topics and fulfilled a number of functions. They maintained a friendly contact between the weaver and the weaving department, through Dorothy Rankine’s inclusion of descriptions of exhibitions, discussions of other weavers’ activities, excerpts from poems, and smaller items of this nature. Also included was information about arrivals of new yarn and helpful hints for specific weaving tasks. The newsletters often included small samples of actual hand woven fabric. Weavers would ask Mrs. Rankine for assistance with a project, either in person or by mail, and when it was completed would often on their own initiative send her some of the fabric left from the completed project. She would cut this up and include it in a bulletin, along with details of the weaving and the project, and an acknowledgement of the weaver. Contact of this type would certainly have acted as an inspiration for a woman in an isolated community without the benefit of other weavers’ company for stimulation. This Farm Home Weaving Service continued for twenty years, until its demise in the fall of 1964. Yet “for three years afterwards,” Mrs. Rankine said, “letters continued to arrive from all over the continent. Authors of weaving books had recommended our dept. highly, in listings on back pages. Cheques [and] money orders had to be constantly returned.”  Dorothy Rankine was employed for two years on a part salary basis, working out of her home, attending to this correspondence. The major factor in the decision to close down the Weaving Department was the changing buying habits of the weavers who had now turned to mail order of yarns in groups. One might also assume that by the mid-1960s the isolation of the prairie farm wife had been successfully overcome. It must be remembered, however, that the retail outlet had not been restricted to farm women but almost certainly derived a great deal of its business from Winnipeg weavers. By 1964, there were several Winnipeg based weaving organizations,  which were able to form the focus for much of the group purchasing. Although the farm women may, in many cases, still have been using Searle Grain’s Weaving Department to its full advantage, their numbers were not sufficient to maintain the economic viability of the department as a retail outlet. There was also an additional factor which brought about Searle Grain’s decision to close its Weaving Department. In 1965 Searle Grain and Federal Grain amalgamated and, in preparation for this move, the Searle Grain Company streamlined its operation, closing down all its apparently peripheral areas, which unfortunately included the Weaving Department. Thus ended the rather unusual connection, of nearly twenty-five years’ duration, between this commercial prairie grain company and the course of handweaving in Manitoba. The author wishes to gratefully acknowledge the assistance of Profs. J. Friesen, M. King and P. Tyrchniewicz in the preparation of the thesis “Weaving Education in Manitoba in the 1940s,” from which this article was extracted. 1. H. G. L. Strange, Rural Home Weaving (Winnipeg: Searle Grain Company Ltd., July 21, 1943), p. 2. 2. Dorothy Rankine, consultant. Searle Farm Home Weaving Service, letter to the author, October, 1981. 3. Kathleen Strange, “Weaving is Back!,” National Home Monthly, August, 1942, p. 11. Some information regarding the Quebec experience is found in: Oscar A. Beriau, Home Weaving (Quebec: Department of Agriculture, 1939). 4. Alice McEachern. “Grain Firm Sponsors Weaving Instruction”, Winnipeg Tribune, April 18, 1942, p. 3. 5. Searle Grain Company, Ltd., (Weaving Department), Winnipeg, September 11, 1942. 6. H. G. L. Strange, op. cit., p. 2. 7. Dorothy Rankine, letter dated November, 1978 and K. Strange, op. cit., p. 11. 8. McEachern, op. cit., p. 3. 9. Dorothy Rankine, private interview, October 1981. Oscar Beriau himself was apparently most helpful in locating a collection of woven articles which the instructors could take to the rural communities to display and use as examples. 10. McEachern, op. cit., p. 3. 11. The first weaving course taught by la Societe d’Enseignement Postscolaire du Manitoba was given on July 27, 1941 at St. Joseph’s Institute and College in St. Boniface. Teaching of weaving by this organization in rural Manitoba then began in the fall of 1941. Institut et College St. Joseph, Chronicles IV (St. Boniface: July 27, 1941 and July 28, 1942). 12. Searle Grain Company, Limited (Research Department), Winnipeg, February 1, 1943. 13. Searle Grain (Research Department), op. cit. 14. Dorothy Rankine, private interview, October, 1981. 15. Searle Grain (Research Department), op. cit. 16. Dorothy Rankine, private interview, October, 1981. 17. Searle Grain (Research Department), op. cit. 18. Searle Grain (Research Department), op. cit. 19. Searle Grain (Research Department), op. cit. 20. Searle Grain Company Ltd., “Hand Loom Weaving: The Story of the Searle Grain Company’s Effort to Sponsor Hand-Loom Weaving Among the Farm Women of the Prairie Provinces” (Winnipeg: Searle Grain Company Ltd., July, 1944), p. 2. 21. Searle Grain (Research Department), op. cit. 22. 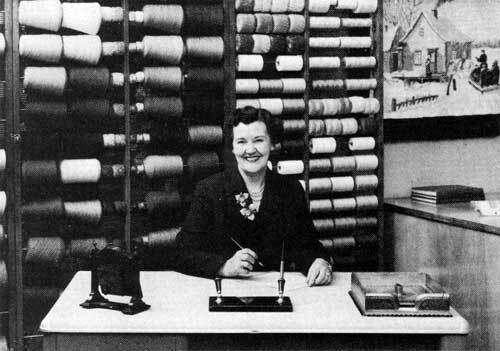 Laura McHugh, 1940s Manitoba weaver, private interview, May, 1981. 23. Dorothy Rankine, letter to the author, October, 1981. 24. Searle Grain (Research Department), op. cit. 25. Searle Grain, “Hand Loom Weaving,” op. cit., p. 3. 26. H. G. L. Strange, open letter to weavers, June 19, 1944. 27. Searle Grain, “Hand Loom Weaving,” op. cit., p. 3. 28. Dorothy Rankine, private interview, October, 1981. 29. Robert Leclerc, Nilus Leclerc loom company, private interview, June, 1981. 30. Searle Grain, “Hand Loom Weaving,” p. 3. 31. Searle Grain Company Limited was incorporated June 27, 1929 under the Companies Act. The Application for Registration dated Dec. 17, 1932 listed Stewart Augustus Searle and Norman Lawrence Leach, grain dealers, as the first two of the five directors. 32. Dorothy Rankine, letter to the author dated October, 1981. 33. Dorothy Rankine, private interview, October, 1981. 34. Dorothy Rankine, private interview, October, 1981 and Greeting Cards with photo and text printed by the Searle Farm Home Weaving Service. 35. Searle Grain Farm Home Weaving Service, mail order price lists. 36. Dorothy Rankine, “Searle Suggestions,” Winnipeg (not always dated). 37. Dorothy Rankine, note to the author, October, 1981. 38. The Manitoba branch of the Handicrafts Guild was formed in 1928 and the Manitoba chapter of the Canadian Guild of Weavers was established in 1947. 39. Dorothy Rankine, private interview, October, 1981.